The single session walk in counselling service provides brief counselling services for children, youth, adults, couples and families. There is no need to make an appointment as we work on a first come first served basis. Tuesday’s (closed on Statutory Holidays). First session begins at 11:30 AM, last session begins at 5:30 PM. Using a Brief Narrative Therapy Model of practice, you can expect to be paired with a trained registered Clinician and a trained second Clinician who focuses on witnessing the session and providing feedback. Each single session can last 1 – 1.5 hours and will address your concern. You may experience a wait until a counsellor is available. Children, youth, adults, parents, couples and families (no age restrictions). Feel free to bring your personal support (friend, family member or support worker). 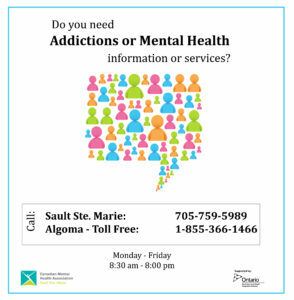 Range of problems may include: mental health, addictions, relationships, activities of daily living and more. No cost, assessment free, confidential, accessible and located on a bus route.